On 6th and 7th October, 2015 Yingke Czech and Yingke Slovakia were officially established. Up to now, Yingke has owned 30 overseas offices. 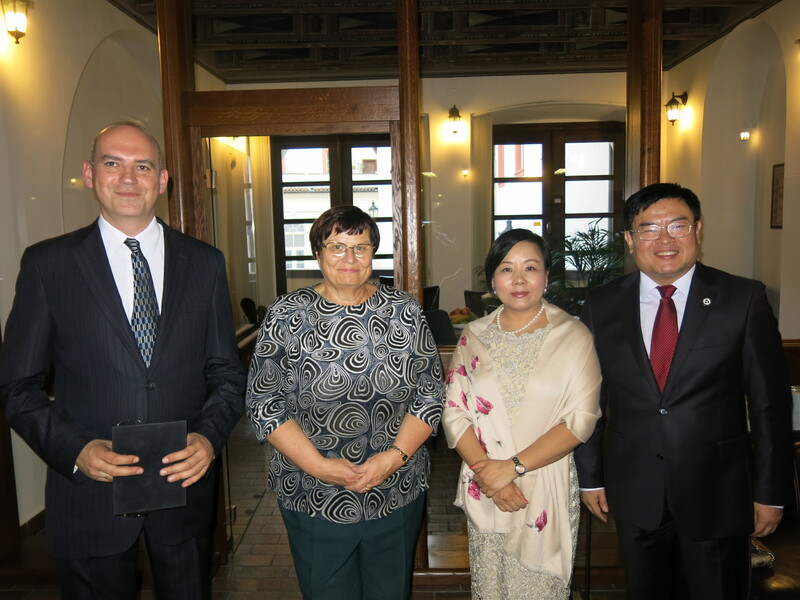 In the Opening, Ms. Marie Benesova, the previous Minister of the Ministry of Justice and Mr. Pan Weifang, the Ambassador of the Chinese Embassy in the Slovak Republic, were invited to be present. Mr. MEI Xiangrong, Founding partner, Global partner and Director of Yingke Law Firm, Ms. YANG Lin (Linda), Global partner of Yingke and the Director of Yingke International participated the ceremony, together with Mr. Martin Winkler, Founding partner and Managing partner of Yingke Slovakia and Mr. Ludovit Pavela, Founding partner and Managing partner of Yingke Czech. 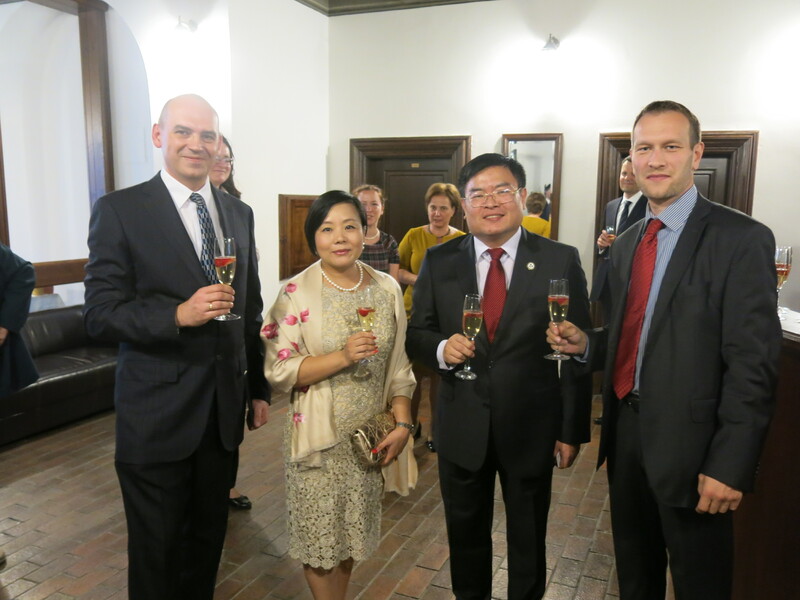 Figure above (left-to-right) is Mr. Martin Winkler, Founding partner and Managing partner of Yingke Slovakia; Ms. YANG Lin, Global partner of Yingke and Director of Yingke International; Mr. MEI Xiangrong, Founding partner, Global partner and Director of Yingke Law Firm; and Mr. Ludovit Pavela, Founding partner and Managing partner of Yingke Czech. Currently, Czech Republic is the second largest trade partner of China in the Middle-East Europe. The two countries established diplomatic relationship with each other on 6th October, 1949, and China recognised Czech Republic and established the diplomatic relationship immediately after Czech Republic became an independent sovereignty state. The two countries agreed that they would continue to use the old Establishment Day of former Czechoslovakia as the Establishment Day with Czech Republic. As Yingke Czech was established in the same day in 2015, this means a lot. Yingke PKW Slovakia & Czech Republic consists of Martin Winkler & PKW Law Firm which located in Bratislava, the capital of Slovak Republic and Ludovit Pavela Law Firm that was situated in Brague, the capital of Czech Republic. As a comprehensive law firm for commercial and accounting services, Yingke PKW Slovakia & Czech Republic locates in Bratislava with an office in Prague. Yingke Czech composes of lawyers and tax experts, and is able to provide most practical plans to meet the needs of clients. The professionals of Yingke Czech perfectly know both Czech and Slovakian laws, and contribute themselves to constructing a legal and commercial bridge connecting businessmen who would like to invest in the Middle-East Europe. Figure above is Mr. Martin Winkler, Founding partner and Managing partner of Yingke Slovakia (Left 1st), Ms. Marie Benesova, the former Minister of the Ministry of Justice of Czech (Left 2nd) and Yingke partners. 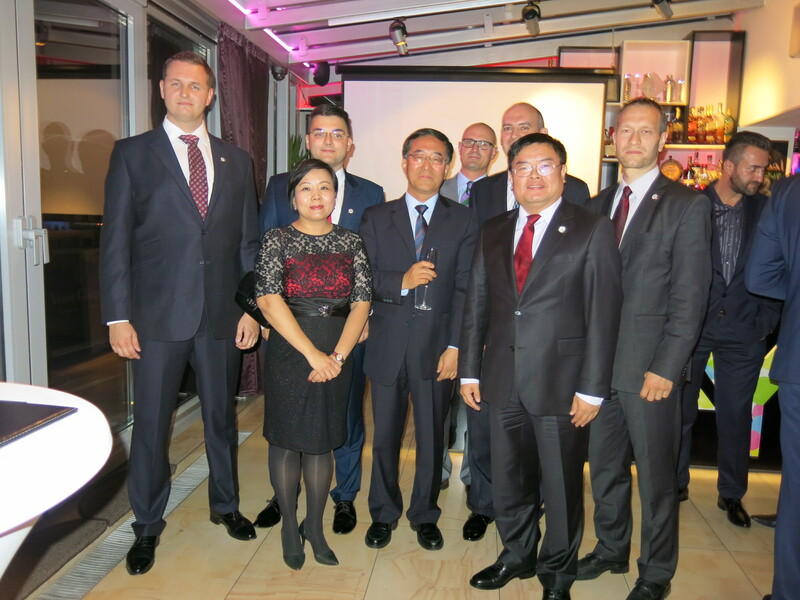 The Opening Ceremony of Yingek Slovakia: figure above is a group photo of Mr. Pan Weifang, the Ambassador of the Chinese Embassy in the Slovak Republic, with Yingke lawyers. After Slovak Republic became an independent sovereignty state in 1993, the country joined the European Union, as well as Schengen Accord and Euro Region. The cooperation and communication between Slovak Republic and China in the fields of safety, banking and new energy sources are subsequently frequent. China is the largest developing country in the world, while countries in the Middle-East Europe is the“emerging power”of European economics. The cooperation between China and states from Middle-East Europe shares distinctive characters of mutual benefits. “16+1 Cooperation” is a new panel for cooperation, jointly established by China and 16 countries of Middle-East Europe for deeper traditional friendship and stronger win-win cooperation. It is also a new approach to improve the comprehensive balanced development of the China-Europe relationship. There are advantages of “16+1 Cooperation” that such system shares common ideas and fit contents with the aim of moving forward of China-Europe cooperation and the construction of “One Belt and One Road”. As one of the leading law firms in the world, Yingke contributes itself to promoting the legal and commercial integrity construction of “16+1 Cooperation” and “One Belt and One Road”. Up to now, Yingke has owned 32 domestic firms and 30 overseas offices. According to the plan, Yingke is going to open offices in France, Japan, Malaysia, Indonesia, Thailand, South Africa, Mauritius, Australia, New Zealand, Canada and Kazakstan this year, so as to comprehensively improve the Yingke global service system and raise the legal service ability of Yingke Global.